After spending the better part of a decade studying architecture, this year I finally got around to taking a course on Renaissance and Mannerist architecture. It's the kind of class that breaks your heart a little, knowing you can only take it once. The course has subtly realigned so many of my priorities and tastes. Shopping for drinking glasses a few months ago, I found myself thinking, "These are nice - but would they look at home in the Villa Giulia?" A ridiculous hypothetical for almost anyone, but particularly for someone living in a 900-square-foot house from the 1940's. A more fortuitous result of this reanalysis is this kind of inner dialogue: "These jeans are nice. But the money I'd spend on them could pay for 2% of a trip to the Villa Lante." A note on the photos: I've used the photographs of Ken McCown and Pandorea to illustrate this post. Please visit their gorgeous Flickr albums. 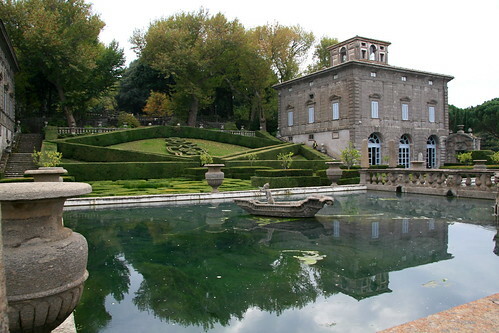 I'm going to say this with absolute certainty despite the fact that I've never been there: the gardens at the Villa Lante are absolutely amazing. 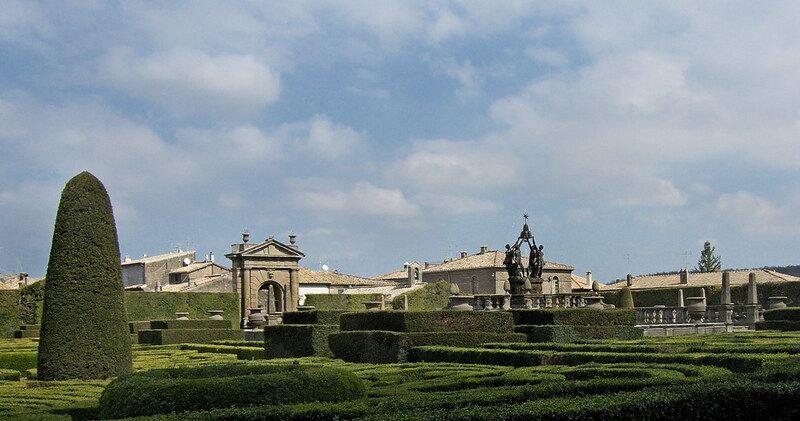 The gardens at Bagnaia are not dominated by one great villa. 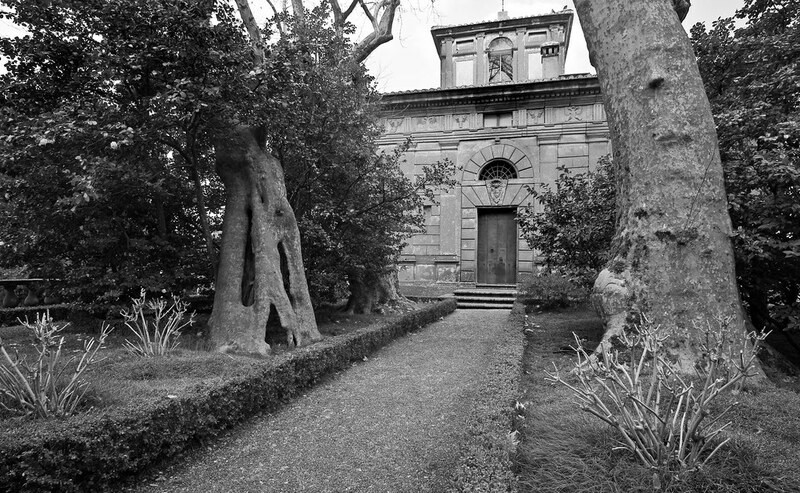 Instead, the residence at Bagnaia comprises two small casini, or pavilion houses. The buildings were always meant to play second fiddle to the gardens. Renaissance gardens often made use of both a formal garden and a wood. 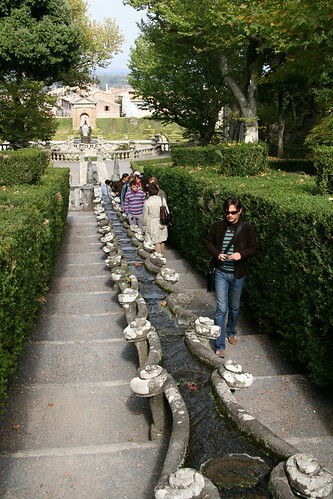 But Villa Lante was one of the first gardens whose bosco, or park, resembled a forest rather than an orchard. The wild bosco is a foil to the orderliness of Villa Lante's formal gardens. 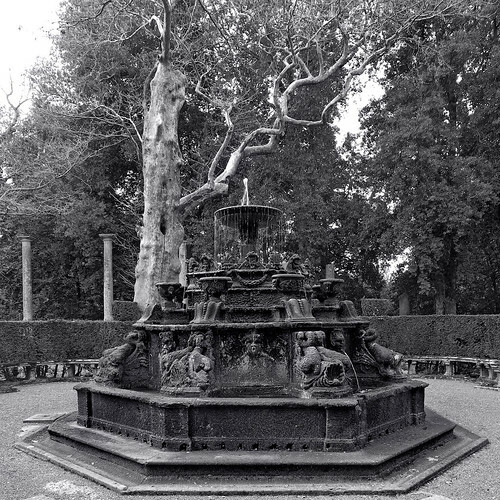 Fountains lay scattered inside the wild wood, connected by paths, but not ordered in a narrative way. 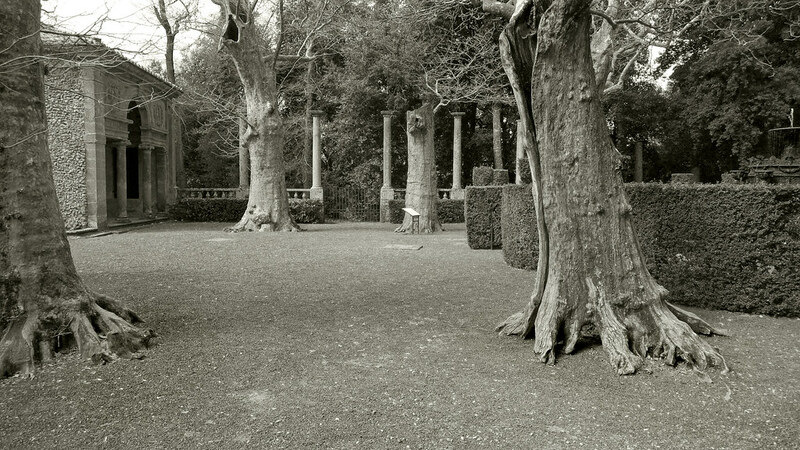 At Villa Lante, the garden’s components – the wood and the formal garden – draw a contrast between chaos and order. Jules Margottin, a British garden enthusiast, visited the park in the late twentieth century, and wrote that his party paused within the forest “at a large, beautifully tranquil pool with its fountain standing by itself in the fields.” Once out of the forest, he found the top of the garden to be wild and neglected, with wild vines and brambles carpeting the ground. On the highest terrace, giant plane trees loomed over Margottin’s party, so primordial that the visitors wondered out loud whether the trees may have been there for hundreds of years. To this nerdy childrens-book-enthusiast, the description recalls the enigmatic lands of Narnia, where ruins of great civilizations past not only populate the dark forests; they beg to be literally reawakened. 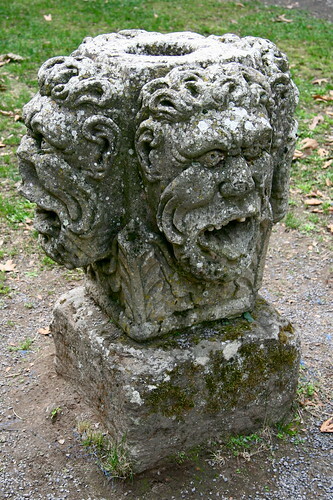 Fountains, appearing out of nowhere in untended forests, hint at unseen inhabitants. Intentional signs of decay and disorder feel ghostly in a garden so well planned and well tended. These are Mannerist moves - introducing chaos and intrigue into otherwise immaculately formal surroundings. 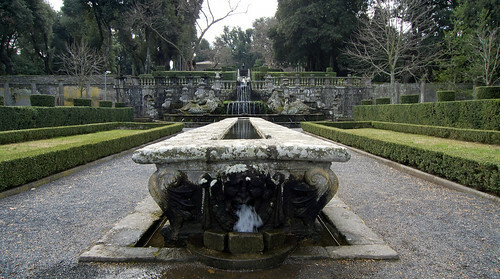 The gardens of the Villa Lante are perhaps best known for their amazing water features. 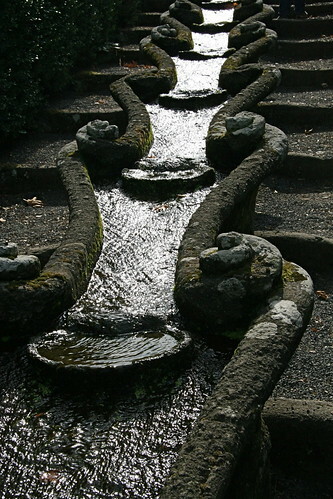 The water games, or giochi d’acqua, play a crucial role to the gardens’ organization and delight. 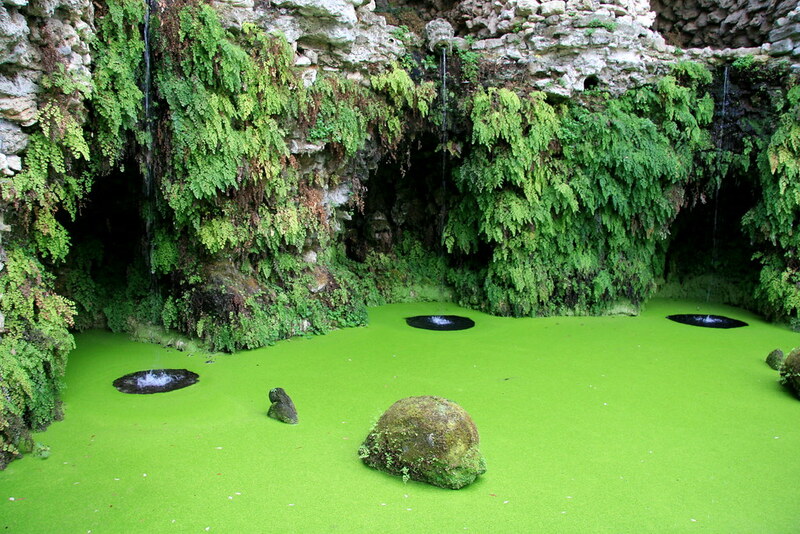 The Grotto of the Deluge looks, for all things, like real cataracts in a rock face. These waterfalls are the source of the cascading fountains that course throughout the gardens. Guests of the garden may find unexpected relief from Italy’s heat when they are squirted by one of the garden’s many concealed water jets. Many of these giochi d’acqua have recently been restored to working order, and delight tourists today as they delighted Cardinal Gambara’s dinner guests in the sixteenth century. A stream of water courses through the top of a stone dining table. The tabletop stream served in hot months as a cooler for beverages, while a stream beneath the table cooled tired feet. 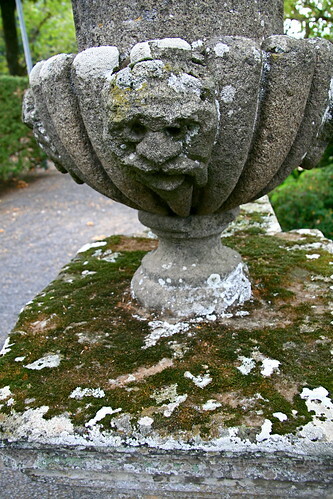 At the table, an unsuspecting dinner guest may have water sprayed between his legs – another of the garden’s surprises. Villa Lante’s north gate is refined, orderly, and peaceful. It is a classic Renaissance composition, with none of the subversion of mannerist details. 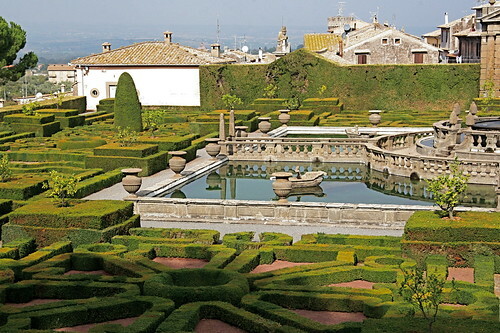 In front of the gate, the lowest terrace is a place of peace and composure, populated by pristine geometric parterres and clear views unhindered by great trees or cataracts. An equally beautiful but less complex garden could never accomplish so much. The intricate interweaving of order and chaos, grandeur and simplicity, sublimity and elegance give the Villa Lante a haunting and complex beauty. Allen, let's take a trip! 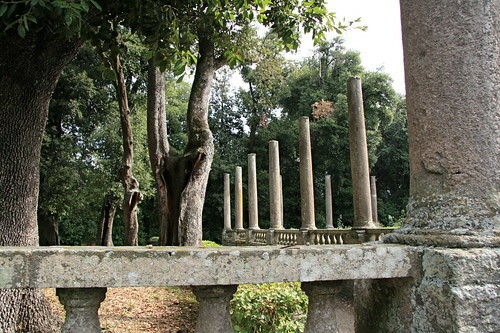 Since I've actually not been lucky enough to visit Villa Lante, I've used the gorgeous photographs of Ken McCown and Pandorea to illustrate this post. Please visit their beautiful Flickr albums. That was supposed to have been my backyard. Life is so unfair.